With Utah being known as the new “Silicon Slopes”, the booming economy in Utah is receiving constant nationwide recognition. The question is, does the economic success for the state translate well for women? Being a female-run recruiting firm, this topic is always at the forefront of our business. We sought out to address the current landscape of women in business in Utah. In doing so, we have put together an infographic that showcases current statistics on women in business, education, leadership and government roles in this great state of Utah. We interviewed five women that have led successful careers and have taken upon themselves to become leaders and advocates for the success of Utah women. The landscape is looking promising for women in Utah, but we still have some work to do in our efforts to obtain equality. businesswomen for the entire month of March. See the whole series here. What is your title and what role do you play within your organization?  Chief Executive Officer of SEARCH Group Partners, a premier, boutique recruiting firm with offices in Utah, Tennessee and New York. I oversee recruiting, sales, operations, on-site consulting, acquisitions and executive search for the company. What boards do you serve on? I sit on the Governing Board for Ballet West, as well as their Development and Nominating Boards. I also sit on the Section Policy Council Board for the American Staffing Association. Additionally, I dedicate significant time to various philanthropic organizations, focused on fighting social causes and critical issues facing the environment. I am also active in promoting Equality and Women’s progression on a local and nationwide basis. Tell us about your most rewarding professional experience. profitable within our first year in business. We have the pleasure of being able to call some of the best, most innovative, largest and growing companies in the state our clients. We also represent some of the most exclusive and top talent in our marketplaces and are truly grateful for the excellent reputation we get to enjoy. in the work place isn’t something just applied to SPG’s client services. It’s a foundation to our philosophy on life and work. We’ve worked to create a progressive company culture emphasizing empowerment and work life balance for staff, the majority being women. SPG also prides itself on its cadre of four-legged friends, many of whom can be seen in the office. What do you see as the biggest challenge women face in business today? What is your recommendation to resolve that issue? One of the biggest challenges that women face in business today is that lack of a female presence in leadership roles. In fact, there are only 24 women sitting at CEO desks of Fortune 500 companies, which is a meager 4.8 percent. Though we’ve made strides in this area, I believe there is still tremendous room for improvement. We have not developed a culture that allows women to feel that they can be promoted to the same levels as men and achieve the same professional successes. This is particularly true in Utah. Utah is well below the national average in terms of females in executive and leadership roles. It’s not for a lack of capable female leaders in the state, but rather an issue with women leaders not getting as much visibility as their male counterparts. We need more women on the CEO track. This will create role models for a future generation of women in leadership. Currently, we have a scarcity of role models. It’s not that there aren’t successful women in business, it’s that successful male leaders get more media coverage, visibility and outweigh women in numbers. In order to get more women in executive and leadership positions, we (women) must help each other. For me personally, I strive each and every day to empower women and demonstrate that women can “have it all” with both a successful career and home life. At SEARCH Group Partners, 100 percent of our management and executive team in Utah is comprised of women at the top of their field. Furthermore, each female we employee nationwide is paid equal to their male counterparts. What pearl of wisdom would you share with young female professionals? Have confidence in who you are and be yourself. Don’t try to act like a man or conform to someone else’s idea of what a leader or professional should be. My father taught me that trying to be a man is a waste of a woman and that I can achieve anything and everything that I am willing to work hard for. This was the most valuable lesson I’ve ever learned professionally. I encourage young female professionals to be comfortable with who they are, but also get comfortable with being out of their element. Don’t change who you are to fit into “a man’s world.” It’s OK to be the only woman in the room. Together, we can change this. Recognize other female professionals. We achieve far more from supporting each other, than we do from competing with each other. Women are the greatest resource for other women. Simply put: Be genderless, unbiased and true to yourself.